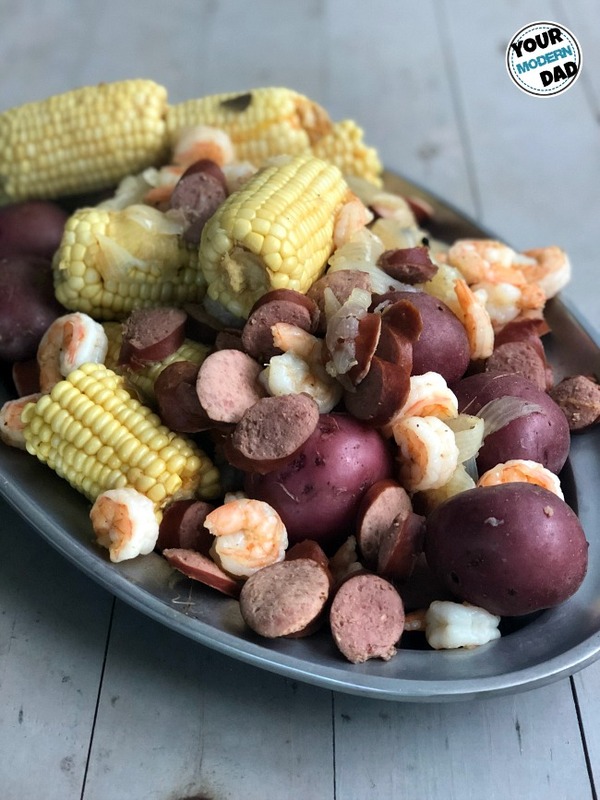 This Low Country Boil recipe is a southern classic. 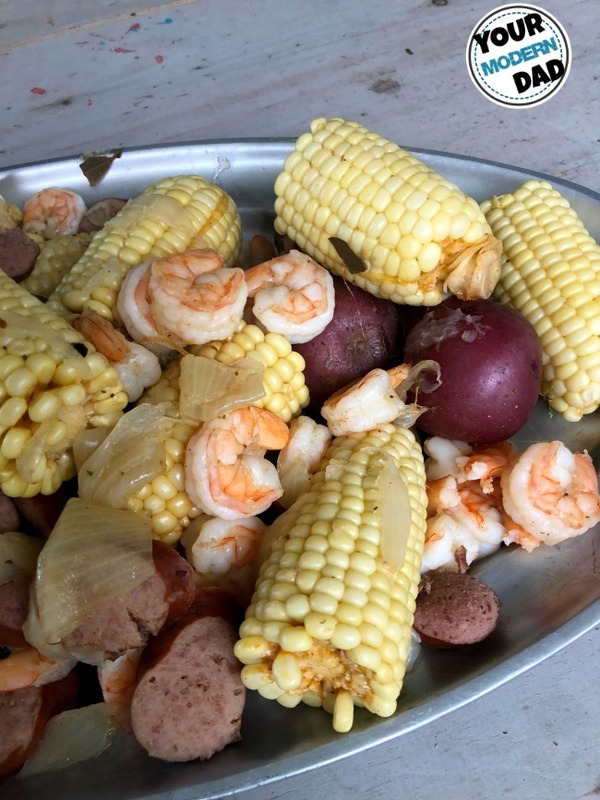 Lowcountry Boil comes from a specific area in South Carolina called the Lowcountry (or Low Country). The Lowcountry is an area that includes all of South Carolina that falls below the Fall Line. This is the area in South Carolina that is filled with southern charm, culture and more. It has a slow pace that we have come to expect in the south. Shrimp boats, rocking chair front porches, glasses filled with sweet tea, palmetto trees and the smell of the ocean & marshes complete the low country. The main areas of the Low Country include Beaufort County, Colleton County, Hampton County, and Jasper County. The Low Country Seafood Boil includes shrimp, corn, sausage, potatoes and some old bay. It’s perfect for a large crowd… the more people you have, the bigger the pot you’ll need. 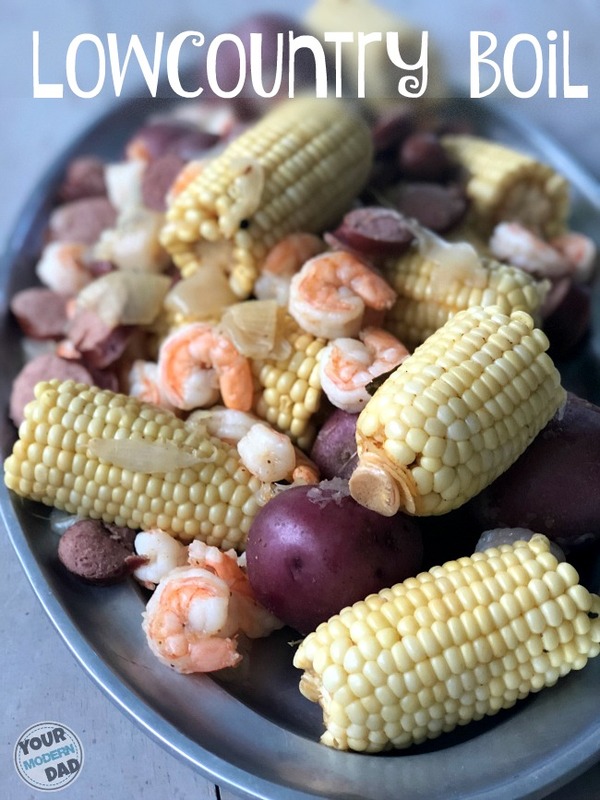 You can serve this Low Country Boil Recipe with Old Bay on newspaper or on a big disposable tablecloth. In fact, when Becky’s brother had his wedding rehearsal dinner, the Low Country Boil covered an entire table… and everyone loved it. Optional: peppercorn, butter, cocktail sauce (used as garnish & for dipping after it has been cooked). Before you begin, be sure to get your shrimp and corn ready. Wash them in your kitchen sink. In a large pot, add water, potatoes and Old Bay seasoning or leaves. Cover & cook until boiling. Boil for five minutes. Add sausage and corn. Boil for 12 minutes. Add shrimp. Boil for 3 minutes, until shrimp are pink. 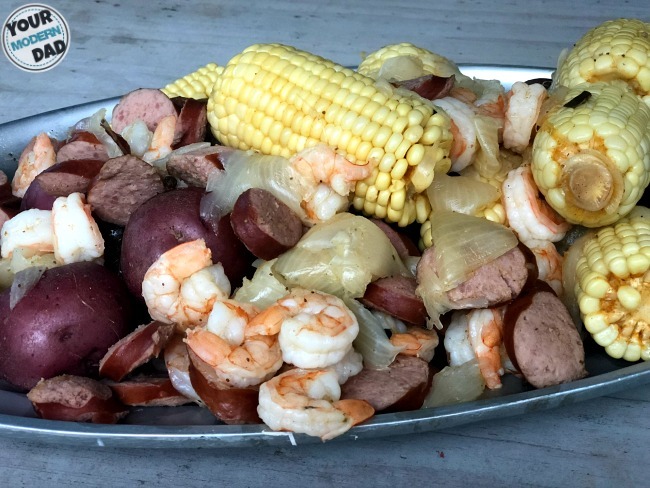 You’re going to love this Low Country Boil Recipe – a southern favorite.